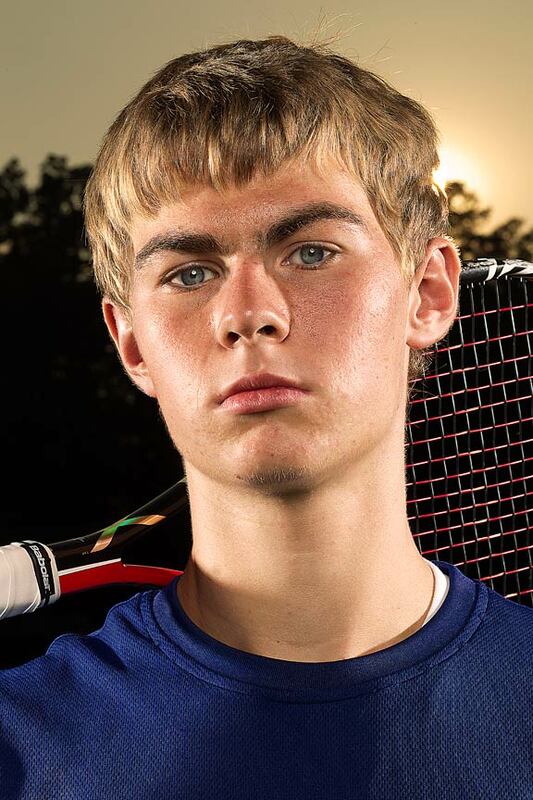 Tennis Portraits and Lighting Set up. As I mentioned in my first post, I would occasionally share some of the lighting techniques I use to create certain images. 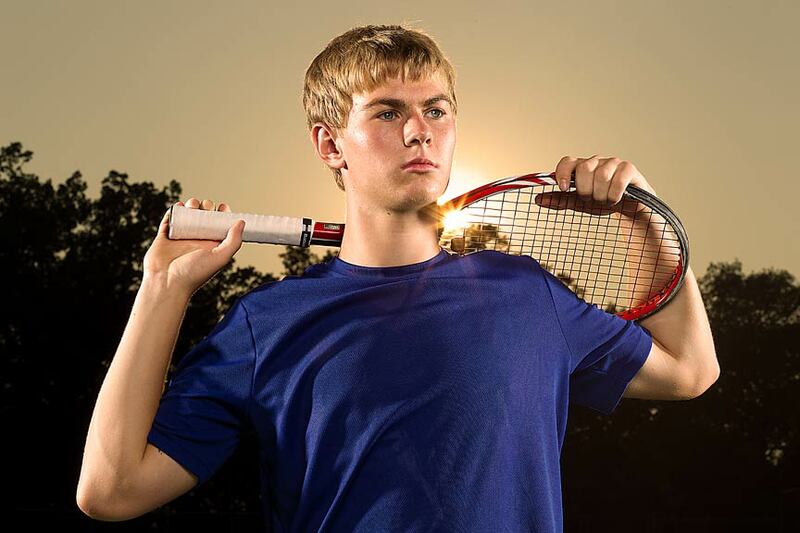 Last weekend I had the opportunity to shoot a local high school’s top tennis player. 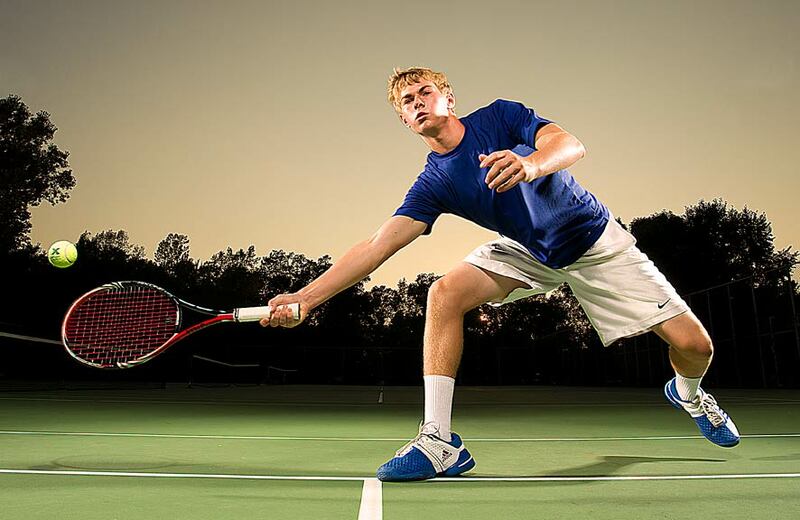 We shot a couple portraits along with some action shots all under the same lighting. The lighting set up was pretty straightforward. It consisted of three Elinchrom Style 600RX heads. The main light had a 27” beauty dish boomed out in front of the subject along with two heads with high performance reflectors on each side, set back a little behind the subject. Everything was powered with a Honda generator. 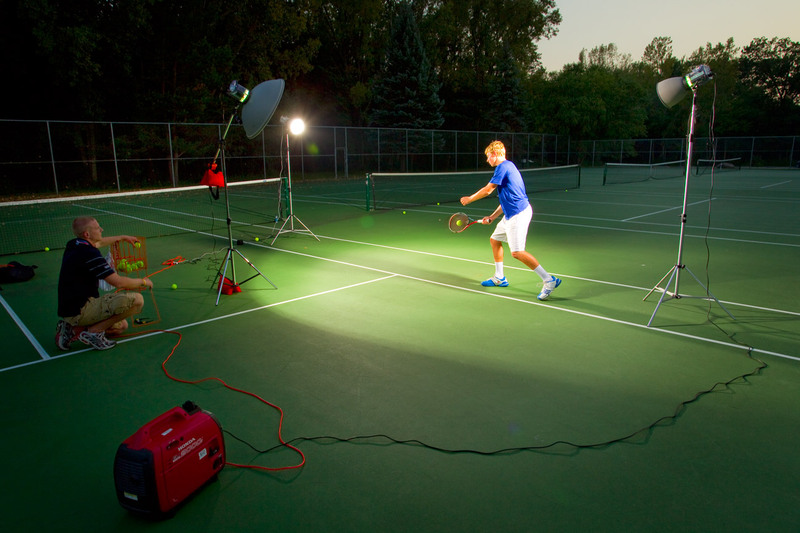 My assistant Matt Becker helped with the setup, as well as tossed balls to our subject. I shot with a Canon 1D mark IV with 17-40mm f4 L, 50mm f1.4, and 85mm f1.8 lenses. All the photos were processed in Photoshop CS3. Thanks for looking. This entry was posted in Gear, Lighting, Photography on September 5, 2010 by ludtkephoto.